St Mirren are ready to rename their stadium in a deal to back Paisley's bid to become UK City of Culture in 2021. 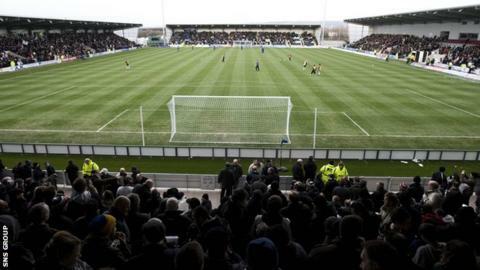 If the proposed two-year sponsorship arrangement is approved by councillors on Wednesday, St Mirren Park will become the Paisley 2021 Stadium. The Championship club say the deal will be worth £30,000 a year. The Buddies have been at the current St Mirren Park site since 2009, having moved from their former Love Street location. "St Mirren FC is proud of its roots in Paisley's history, dating back to the founding of the club in the town in 1877," said chief executive Brian Caldwell. "These proposals would see our stadium playing a key part of the City of Culture campaign and I am certain that our fans will get right behind it."